Ok, I'll put my hands up and admit it. Up until a couple of months ago I'd never eaten Pad Thai. I know, for someone who loves Asian cuisine, this is unheard of! But after trying at both Waga's and then Dim T some months ago I new it was love, and was desperate to recreate at home. I wanted to include this as part of my curry club series; what makes a dish a 'curry'? I don't know, but to me this fits into my curry/Asian affair quite neatly. 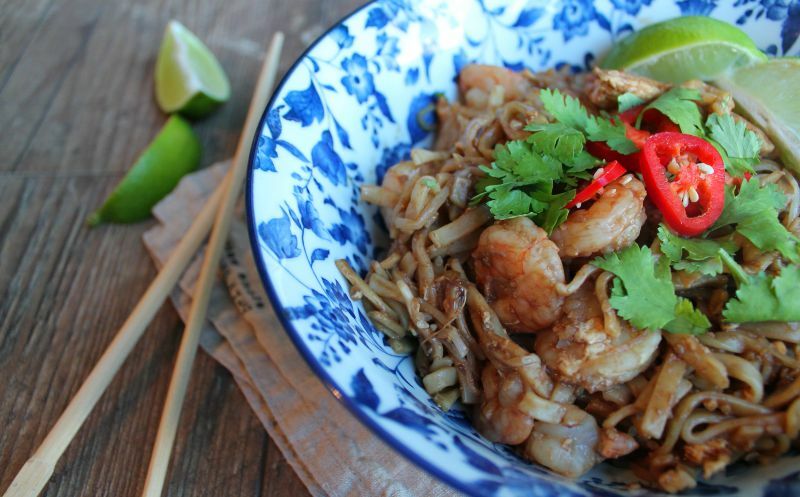 After a bit of online searching for an appropriate recipe, it soon became clear that there isn't really such thing as a 'common' Pad Thai recipe. Each site I went to I found different variations - some using tamarind paste, others sweet chilli sauce, others soy sauce... some even tomato ketchup! I found this article showing just how much is up for debate. Blimey. 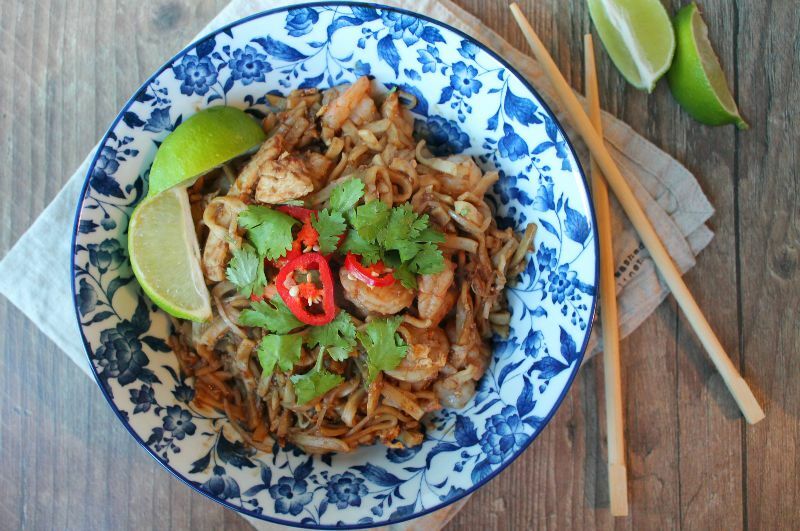 The recipe I ended up using was on the back of the straight to wok Pad Thai noodles packet from Sainsburys. The bad news? It just wasn't right. The tamarind paste and fish sauce dominated and I was left with an overly strong salty-fishy taste which just wasn't pleasant. 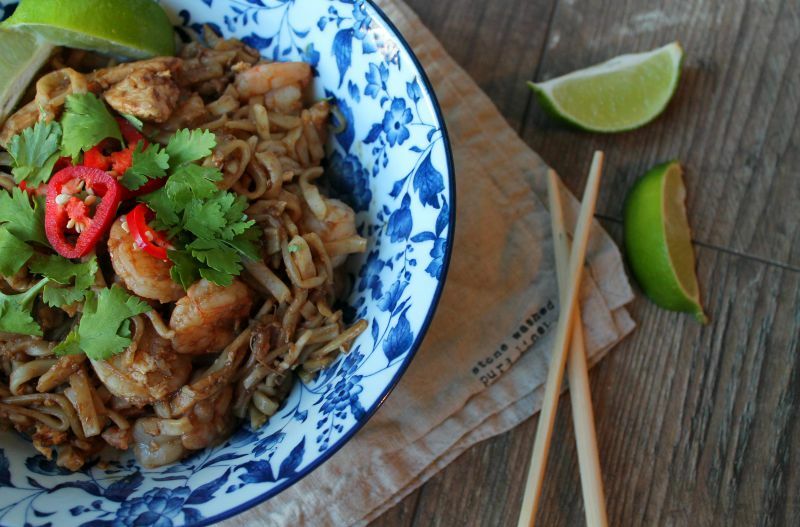 So this is my plea to you: please can you tell me your fail safe Pad Thai recipe? Help a sister out! I do love curries, I will be keeping an eye out on the replies though as I have never tried pad thai!